Paros is the most appropriate place for holidays and rest for all, throughout the year. It has necessary infrastructure and offers many options and alternatives to its visitors. Simplicity and beauty shine on this island. If you look around the hills and the villages, you will get the feeling that some great modern artist has drawn their outlines, with uphill and downhill slopes producing a kind of visualized poetry. Paros radiates the light of the sun while its beauty is reflected in the infinite blue sea. The wind, an imaginative maestro and carrier of sounds, both on land and at sea, takes sounds from the hills to the brushwoods, from the reedbeds to the wetlands and then blows them through the narrow cobblestone village streets. On every beach you can hear unique sounds and music. Members of the animal Kingdom like the cicadas, the frogs, the crickets, the owls, the hawks, the swallows, and the goldfinches together with the seagulls and the seabirds, participate in this feast of sounds. Get a table and enjoy Parian food at a family tavern or a restaurant. Enjoy your breakfast at some café or coffee bar, on the beach or the traditional settlements. 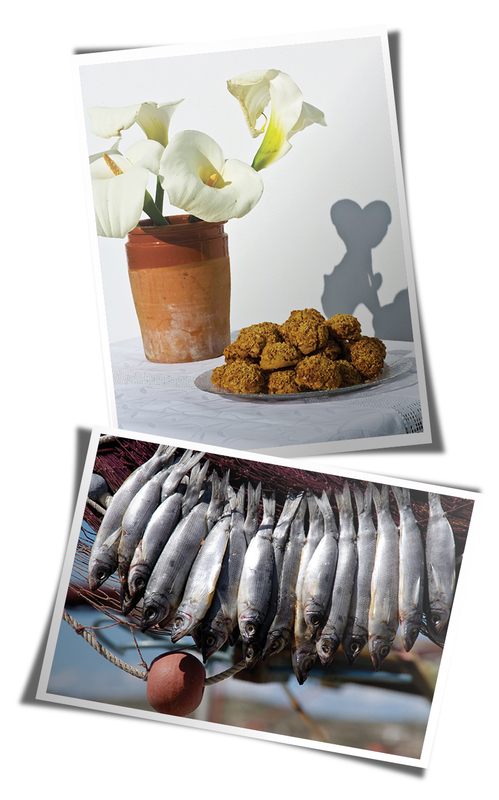 Sit by the sea and drink ouzo or soumitsa (local alcoholic drink) together with seafood appetizers. Enjoy both calm and intense days and nights in Paros. Indulge your palate to the fullest. Relax and surrender to the touch of the sun, the air, the sea, the sand. Feel the energy of this island through the sense of touch.